What will happen to the Norwegian jet stranded in Iran due to Trump’s sanctions? So proclaims the US Treasury’s Office of Foreign Assets Control (Ofac). It goes on to brag about the Countering America’s Adversaries Through Sanctions Act, which is aimed at Iran as well as North Korea and Russia (surely a country that the US president would never do business with?). 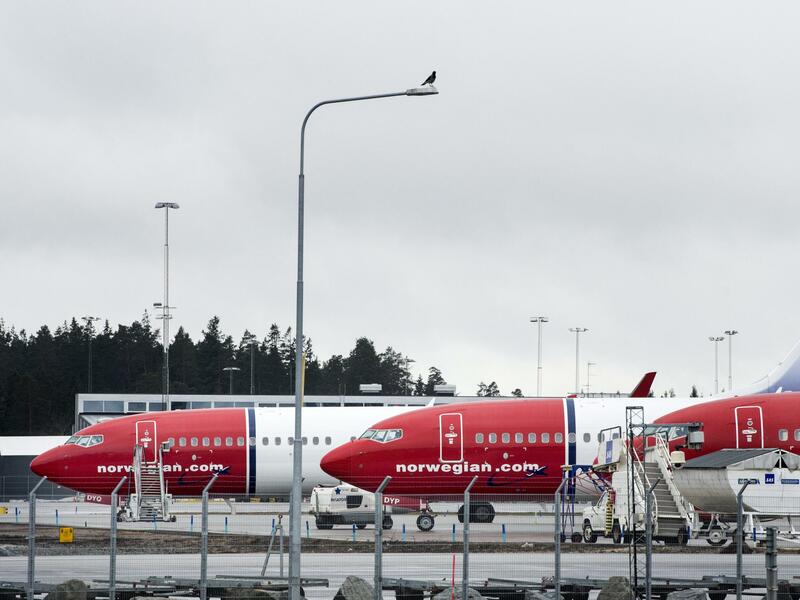 As a result of these retributions against the Iranian regime, a shiny almost-new aircraft belonging to a European airline, Norwegian, is still parked at the airport at Shiraz. On 14 December, the Boeing 737 MAX was flying from Dubai to Norwegian’s home base, Oslo – traversing Iran at 32,000 feet. The pilots identified an oil pressure problem with the left-hand engine and needed to shut it down. While the “Etops” rules permit such an aircraft to fly for hours on a single engine – a necessary condition for it to cross the Atlantic – it is good practice to divert to the nearest suitable airport. Which was Shiraz. For the 180 passengers and six crew, it must have been a strange and hopefully enriching experience. Even though (presumably) no-one was endowed with an Iranian visa, they were all processed through immigration and taken to the city’s best hotel. I hope at least some of them were able to visit the city’s fort and the Bagh-e Eram (”Garden of Paradise”) before the rescue jet arrived from Oslo. Getting the people out was a piece of Persian love cake compared with getting the plane out. When there is a “AOG” (Aircraft On Ground), an airline will initially see if there is anyone at the airport who can fix it and has the parts. At a major airport in Europe, there is every chance that the wherewithal can be found to mend an Airbus A320 or, as with the Norwegian plane, a Boeing 737. While Iran’s fragile aviation business keeps going on some improbably old US planes (notably the Boeing 707), the highly skilled engineers do not have the parts for, or practice on, planes that were built in 2018. Elsewhere, it is simply a matter of flying in engineers and parts. I have enjoyed an extra day in the Dominican Republic courtesy of Britannia Airways while the necessary personnel and kit was flown south from Florida to fix a stranded Boeing 767. But Iran is different. America’s sanctions ban “the exportation, reexportation, sale or supply, directly or indirectly, from the United States or by a US person, wherever located, of any goods, technology or services to Iran”. The Boeing 737 needs some parts which must arrive, directly or indirectly, from the United States. Until they arrive, this £40m machine will be an expensive asset that is losing value by the day. The US government shutdown has not helped in the tortuous procedure of getting the required permissions in place for getting an exemption for sanctions that were never intended for such a case. No airline orders planes it does not need (except possibly for some instructed to do so by misguided national leaders). And Norwegian ordered LN-BKE in order to fly people happily around Europe and the world. The spokesperson said there is no impact on the schedule – but presumably there may be in two months’ time when the busier summer timetable begins. As Bjorn Kjos, Norwegian’s chief executive, knows well, aviation is a high-stakes business. So is international diplomacy. But unless the US can swiftly move to get this plane out of Iran, it will constitute an increasingly luminous testament to what some people see as America’s propensity to be an international bully. And I imagine neither Boeing nor US engine manufacturers are thrilled by the prospect that some airlines may choose other suppliers – Airbus and Rolls-Royce – over American makers. Aircraft are symbols of international cooperation and connectivity. But the beleaguered Boeing represents a failure of common sense.